My first SpiderMonkey trick is more than 6 months old, and I still haven’t released the source code. Let’s do it now, but let’s also talk about a new trick. Obfuscated JavaScrip has become a trademark of cybercriminals, and they are ever perfecting their tools, read what Bojan and Ismael have uncovered. This reminds me of another trick I’ve been learning my SpiderMonkey: whenever the eval function is called, it will write its argument to a file, giving you the possibility to analyze the code. 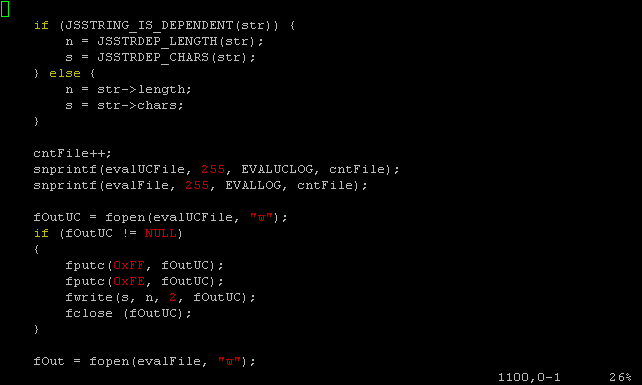 Eval is used in some obfuscation schemes. 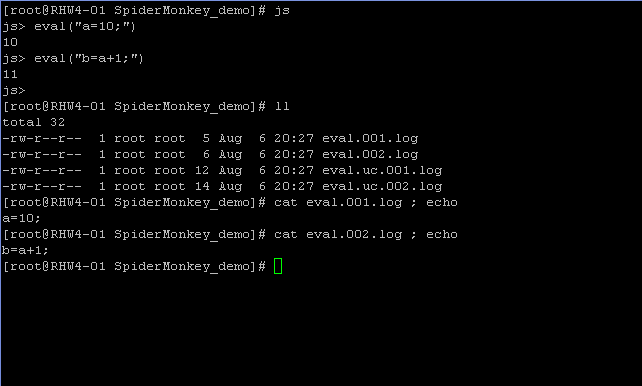 BTW, can you guess why I added ; echo to the cat command of this demo?